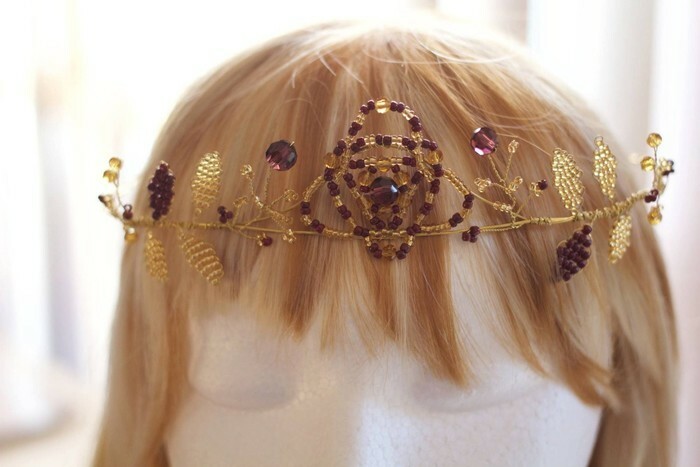 This intricately designed gold tiara is completely handmade. 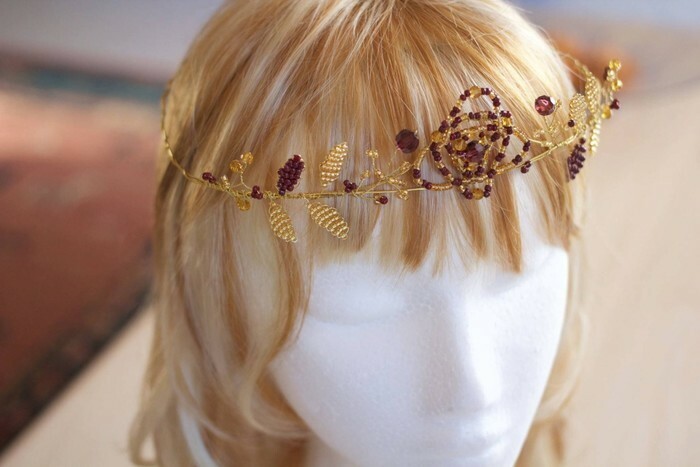 From the free form circlet crown, the centre front accent through to the twisted wire branches and leaves. Beautiful tones of gold and marsala faceted round crystals and lined seed beads were used to create this unique piece. Finished with two gold metal combs at the back to assist in securing the tiara to your hairstyle. 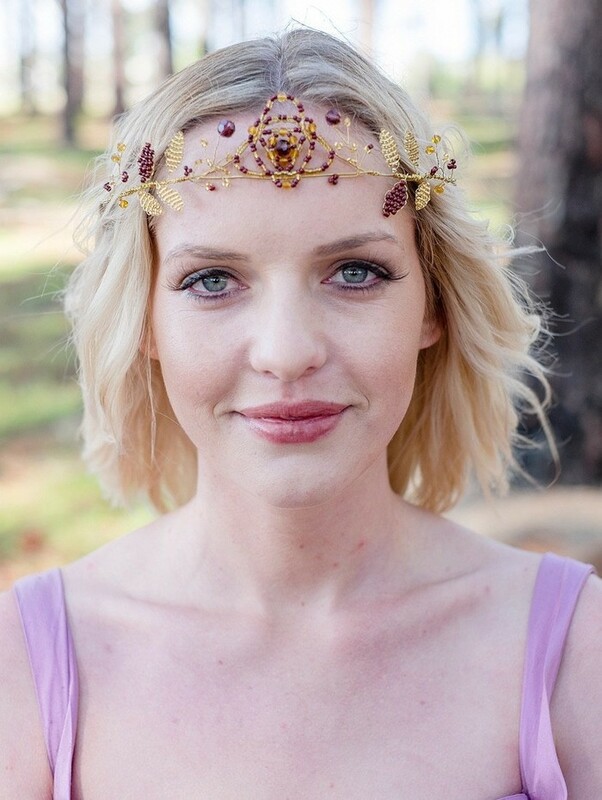 This tiara would make a wonderful addition to a costume/dress up party outfit or as a truly stand out statement piece for any party or special event!